If you’ve suffered from plantar fasciitis, then you know what it entails – the agony of your feet. 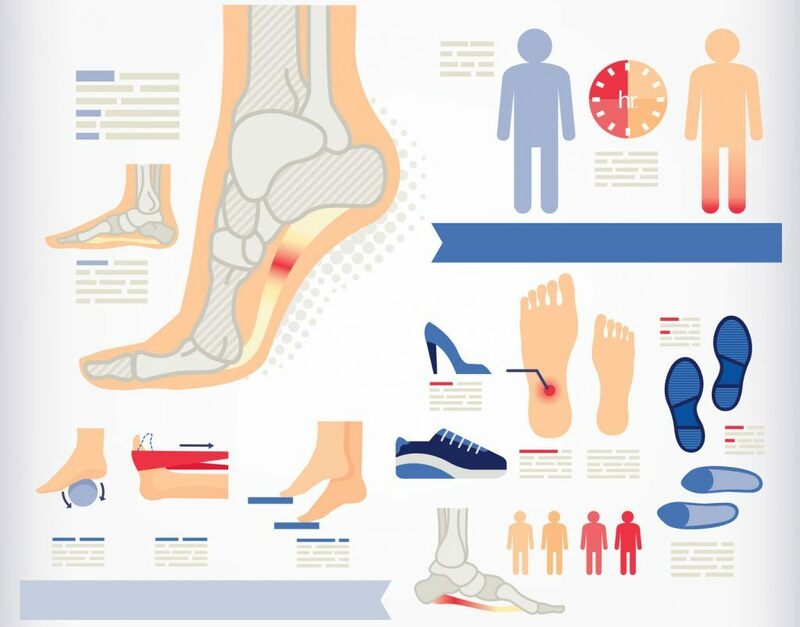 Caused by a variety of factors, it’s the most frequent cause of heel pain, and there’s nothing fun about it. Athletes suffer from it. People who stand all day suffer from it. People who have put on a few extra pounds suffer from it. The good news? As much as it can hurt, it’s rarely a condition that requires surgery. In fact, only five out of every 100 sufferers will require surgery. Even better news is that there are a variety of proven methods for how to treat plantar fasciitis. 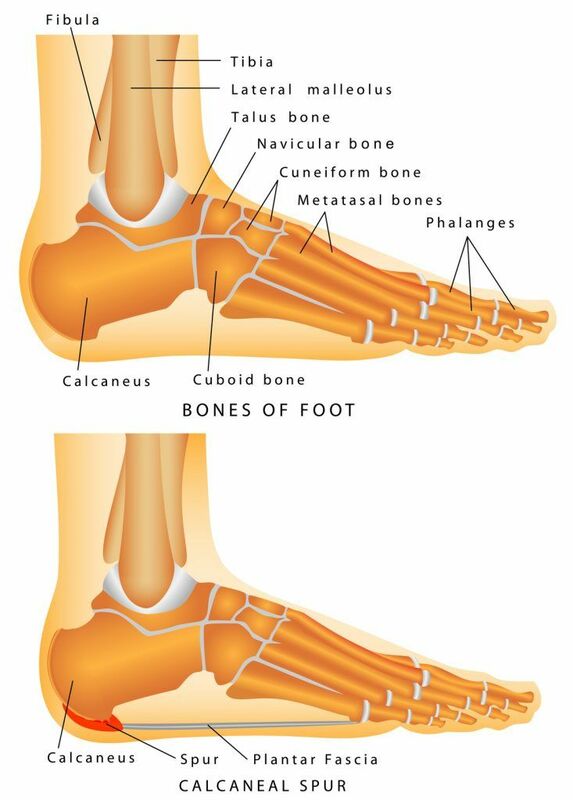 The ligament that connects your heel bone to your toes is called the plantar fascia. This band of tissue provides arch support. Straining your plantar fascia causes it to become swollen and inflamed and weak; in other words, a real pain. Worse, it only hurts when you stand or walk. It’s also known as ‘jogger’s heel,’ which indicates that it’s not much good for runners, either. You get out of bed, take a few steps, and your heel instantly barks back at you. Or, the same thing happens after you’ve been sitting for a long time. This is when plantar fasciitis is most likely to flare up, but it can also occur after you’ve been standing for a long time, or when you climb stairs. Your foot may hurt more as the day goes on, as well. You have excessive pronation, i.e., your feet roll too far inward when you walk. You are on your feet for long periods, especially on hard surfaces. This can be especially true if your job requires you to stand all day. (8 ways how you to relieve your feet after standing all day). You’re overweight. Being so puts increased weight on the plantar fascia, especially sudden weight gain (which is why pregnant women are susceptible to it). You wear shoes that are worn out or aren’t the right fit. The latter can be easily avoided with just a little knowledge of how shoes should fit. Being flat-footed or having an abnormal walking pattern. You’re a runner who suddenly changes his or her running surface. You tend to wear high-heeled shoes and switch abruptly to flat shoes. Something to keep in mind: If you have foot pain at night, when you’re less active or not on your feet as much, you may be actually suffering from arthritis, or a nerve problem such as tarsal tunnel syndrome. For the record, the tarsal tunnel houses the nerves, arteries and tendons that provide movement and flexibility in the foot. Also, plantar fasciitis should not be confused with heel spurs. A heel spur forms on the heel bone, and not everyone has pain with heel spurs. If you have plantar fasciitis, chances are you’re going to feel it. Over 2 million Americans suffer from plantar fasciitis each year. In other words, you’re not alone. 10 percent of plantar fasciitis cases are running-related. The average age range for when plantar fasciitis most commonly occurs is from 40 to 60. Heel pain when you take your first steps after getting out bed, or after you’ve been sitting a long time. These are considered classic symptoms of PF. Pain when you stand for long periods of time. Pain when you begin exercising that gradually improves or goes away during exercise, but returns when you’re finished. Don’t ignore the condition. In fact, tell yourself – out loud preferably – that, “I will not ignore the symptoms of plantar fasciitis.” Your heels are begging you. What happens if you do? For starters, the pain can become chronic – which can change the you walk, which can result in injuries to your legs, knees hips and back. Not fun at all. Here’s something else: Steroid injections and some other treatments (we’ll get into treatment shortly) may cause weakness in the plantar fascia ligament and can potentially cause the ligament to rupture. Nope, not fun. Another potential complication is the detachment of the plantar fascia, which can cause changes in your foot, and nerve damage. Can Plantar Fascitis Be Treated? The answer is yes. Even a resounding yes.There are a multitude of ways to treat it, with the caveat that the sooner you seek treatment, the better you’ll be able to avoid the nasty complications listed above. The goals of treatment include relief from pain and inflammation, correcting foot problems such as excessive pronation through improved strength and flexibility, as well as allowing you to comfortably return to your normal activities. Perhaps the best part of treatment is its high success rate. Most plantar fasciitis sufferers recover completely within a year. Again, the sooner you start (treatment), the faster you’ll heal. Now for the good stuff. Treatments for plantar fasciitis range anywhere from the simple (rest your feet) to the cutting edge (extracorporeal shock wave therapy). In any case, plantar fasciitis is almost always evaluated and treated without surgery, while responding well to physical medicine and rehabilitation approaches. Back to the simple. Limit or stop the daily activities that are causing you heel pain (if possible). Limit – again, if possible – how often you run or walk on hard surfaces such as concrete. Icing your heel can reduce inflammation and relieve pain. Some medical professionals suggest applying ice to the affected area for 20 minutes, three to four times a day. Commonplace medicines such as Advil or Motrin, or Aleve, are fancifully known as nonsteroidal anti-inflammatory drugs and come in pill and cream form. No matter what you call them, however, they can help. Let us not undervalue the value of our shoes in the grand scheme of how to treat plantar fasciitis. And did you know that putting on your shoes right out of bed can be helpful? Going barefoot or wearing slippers to kick off the day can aggravate the condition. That said, wear shoes with good shock absorption and the right arch support for your foot. Make sure they fit correctly (and getting them measured by a professional is a really good place to start). Shoes with well-cushioned soles, as you might expect, are preferable. Here is a list of the best shoes for plantar fasciitis for both, men and women. You can also try inserts, also know as orthotics, to provide extra cushioning for your heel. They’re usually found at many athletic shoe stores (even drugstores, for that matter). Orthotics reduce the symptoms of plantar fasciitis by diminishing and absorbing shock that is normally absorbed by the plantar fascia. A hint: Use inserts in both shoes, not just in the one where the foot hurts. Your doctor may recommend wearing splints at night if other treatments don’t seem to help. A night splint gently stretches the plantar fascia by holding the foot in place with the toes pointed up. The brace is usually adjustable, and you can work with your doctor to find the right angle that provides the best stretch for you. Or, more specifically, maintain a healthy body weight. Too much weight means too much strain on the plantar fascia. Sure, they may still feel comfortable, have sentimental value and been with you to fitness hell and back, but don’t wear those favorite athletic shoes until there’s no cushioning or support left. Be proactive, and for runners the general rule is to retire those shoes after 500 miles of use. If you must, put the old ones safely away somewhere – unless you’re the type who transitions them into lawn shoes, which probably isn’t all that great for those plantar fascia symptoms either when you think about it. Having an athletic trainer or physical therapist tape your plantar fascia to decrease the stress on it, can help you better tolerate athletic/fitness activity. The best taping techniques distribute the force away from the stressed and irritated fascia. If walking and jogging continues to cause pain in your plantar fascia, then it might be time to switch to something low-impact, like cycling or swimming. Now let’s get physical. There are a variety of stretching exercises you can do on your own that can help relieve the symptoms of plantar fasciitis. They can help your ligament become more flexible and strengthen the muscles supporting your arch. Stretching is considered the mainstay therapy for plantar fasciitis. Better yet, the stretches can be done at home. Lean forward against a wall with one knee straight and heel on the ground. Your other knee is bent. Lean and stretch your plantar fascia and foot arch. Hold for 10 seconds and repeat 20 times for each sore heel. Lean forward onto a countertop, spreading your feet with one foot in front of the other. Squat down while flexing your knees and while keeping your heels on the ground for as long as possible. Hold for 10 seconds, repeat 20 times. Cross the leg with the affected foot over the other leg. Grab the toes of your affected foot and pull them back toward your shin. This creates a nice tension and stretch in the plantar fascia area. Do 10 repetitions of 10 seconds each. Another good stretch involves your achilles tendon. Start by placing a shoe insert under your affected foot. Next, place your affected foot behind your other leg with the back foot pointed towards the heel of your other foot. Lean into the wall while bending your front knee, but while keeping your back leg straight. Hold the stretch for 10 seconds and repeat 10 times.You should strive to do this stretch three times a day. Some other options for treating plantar fascitis when other methods aren’t working are steroid injections, extracorporeal shock wave therapy, and surgery. A not uncommon choice in plantar fasciitis treatment, studies seem to suggest that injections are best used when seeking a short-term benefit. In this method of treatment, a synthetic form of cortisone is injected directly into the plantar fascia, or into the side of the heel. If your body responds well to cortisone, then you can experience quick relief that may last for several weeks. But it should be noted that not every plantar fasciitis sufferer experiences relief through corticoid steroid injections. Moreover, in some cases the pain actually worsens after the injection before relief is felt. Extracorporeal shock wave therapy (ESWT) has proven effective in reducing the pain of plantar fascitis. The shock waves are sound-wave vibrations that actually creates local tissue injury, which in turn causes new vessel growth. In other words, by creating a wound it stimulates healing. As previously mentioned, surgery is not needed for most patients who suffer from plantar fascitis pain. But for some it may be the only alternative. Known as plantar fascia release surgery, the procedure involves cutting part of the plantar fascia ligament to release tension and relieve inflammation. Following surgery, the patient will be placed in a non-weight-bearing cast or brace for two to three weeks to allow the tissue to heal. Running and jumping is typically restricted for three months after surgery, and full recovery may take up to six months. Plantar fasciitis is a serious issue that affects many people. Its symptoms can restrict normal activity and even hinder workplace performance, but the good news is that – in most cases – it can be easily treated. If you are experiencing the symptoms of plantar fasciitis, consult a medical professional and find out the best treatment for you.